With a wide range of commercial and residential construction expertise, Brunelle & Son is capable of taking on almost any project. 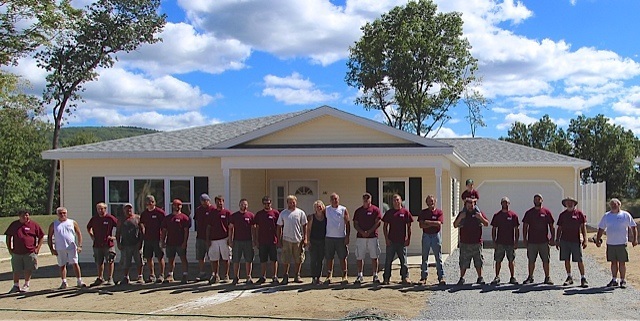 We have built more than 100 homes, in addition to completing countless smaller projects such as additions and renovations. We have constructed numerous commercial and industrial buildings, such as banks, restaurants, offices, service stations, and schools. Our comprehensive services include: consultation, site development and utilities engineering, local and state permit acquisition, and all phases of construction. We are fully insured. We attribute our success to our quality of work, competitive prices, and attention to detail. We strive to make each and every customer happy by listening to their needs and delivering on our promises in a timely manner. John has been working in construction since 1977. In 1980 he was a senior project manager for a local construction company and had his own kitchen cabinet and tile business. In 1990 he and his wife Lori founded Brunelle & Son Construction. John oversees drafting, estimating, work scheduling, and project management. Considering volume of sales and number of projects overseen, John is probably the most experienced contractor in Southern Vermont. Lori is the Office Manager and is responsible for: billing, payroll, accounts payable and accounts receivable, customer relations, shipping and receiving, and bookkeeping. © 2015 Brunelle & Son Construction. All rights reserved.